Iran's most famous Persian Carpet Museum is situated in the Middle of Tehran city next to the Laleh Hotel ( formerly the Intercontinental). 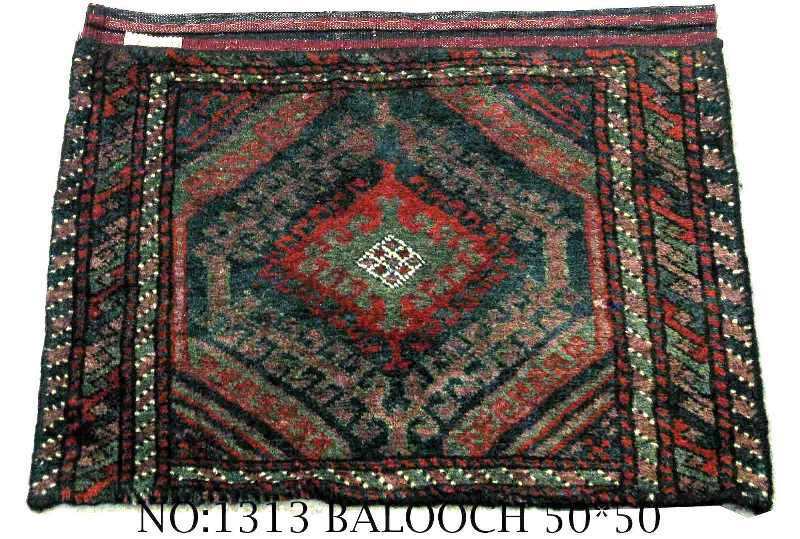 Built in 1974, this museum exhibits most rare and beautiful examples of 17th to early 20th Century antique carpets which HAVE been collected since 1970 by the museum. 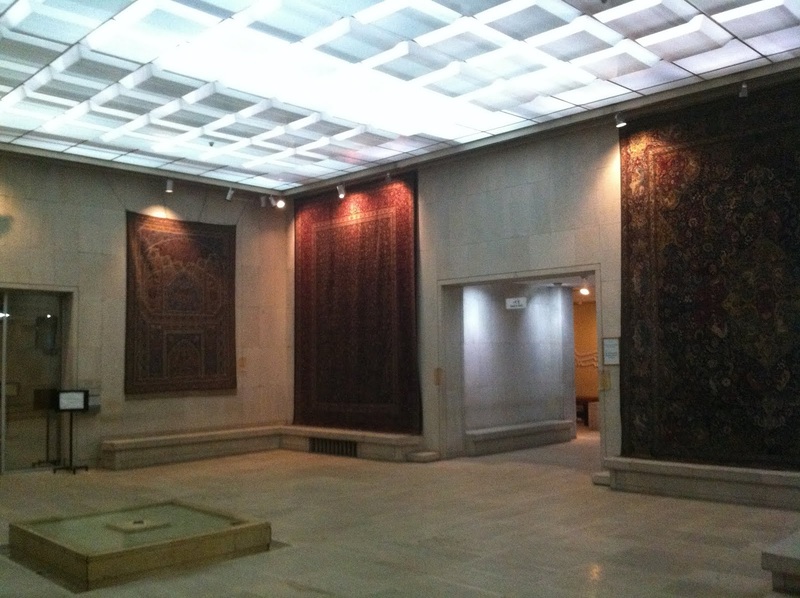 In the foyer of this museum there are 7 extra large carpets hanging, each a beautiful example of their specific type. On entering the foyer, you immediately experience a peaceful environment with the sound of fountains in the middle pond. Inside, there are rugs hanging under low lit spot lights, AND large carpets lying flat on dark floors with spotlights highlighting their beautiful motifs. There are many urban weave master pieces of the early 20th Century as well as my beloved 19th Century tribal and naive carpets. The rich colours of these rugs still look bright and beautiful even in the iPhone shots I took of them in the poorly lit surrounds. There were two 17th Century rugs on display during this visit. 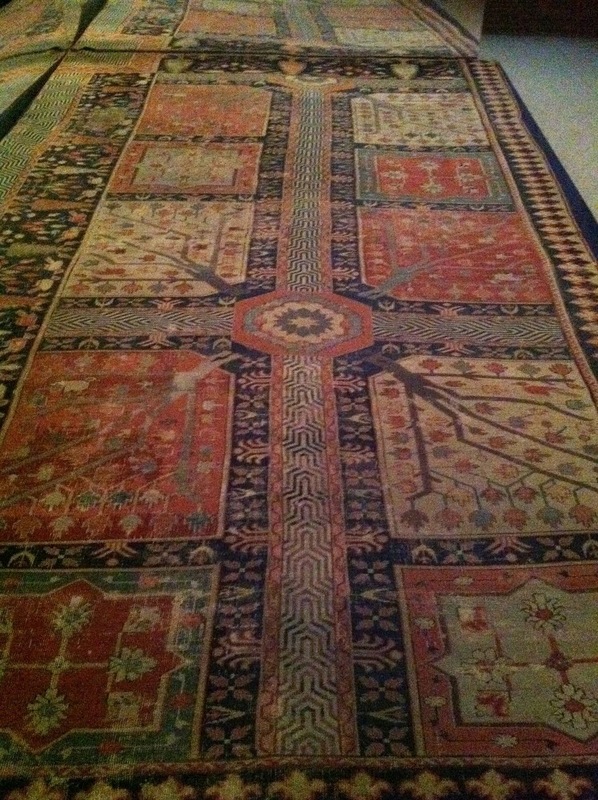 A Tabriz Garden design carpet in which the panels of trees and stylized flowers are divided by irrigating water channels. Intricate ripples in the water are cleverly designed by repeated arches in black and white. It seems to me that the artist may have had a roof top view of a large rectangular garden while drawing the pattern and the beauty of it is that the pattern was drawn on plain paper and it is rather naive and full of mistakes. Repeated stylised shrubs in the border lines have also been seen in some other nomadic pieces. In the design you can see: a 6 branch shrub with a head of A bird on each branch, a nomadic version of a tree of life motif. Simple art but yet artistic in presentation. The design shows wide water channels running in to a central pond with a large flower in the middle. I presume this large flower represents the fountain. The rug shows a walkway along one side which is lined with pine trees and flower bushes. It seems that the artist was capturing a palace’s garden. Beautiful madder red and various natural dye blues and greens complete the beauty of this carpet. The second 17th Century carpet at this Exhibition is a Royal Isfahan Gallery rug with all over stylized Shah-abassi guls (flowers) . 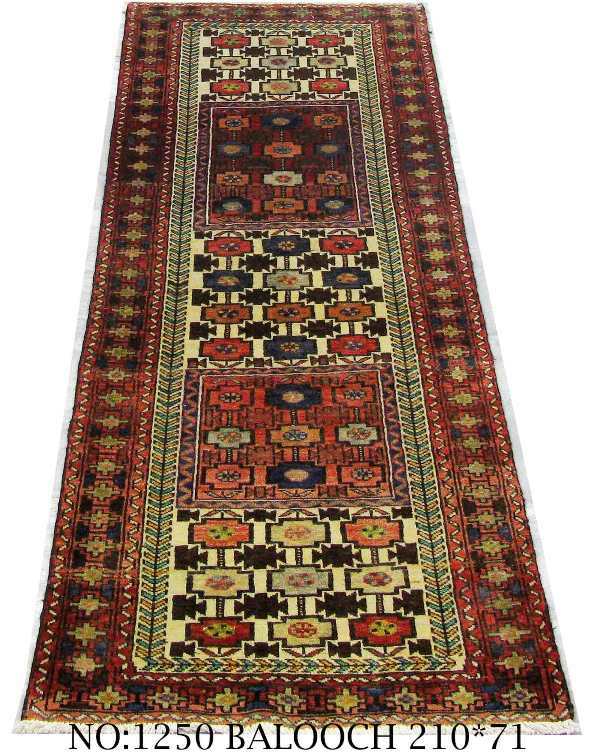 THE naturally oxidized charcoal GREY field and beautiful madder orange border GIVE this over 350 year old piece a glow. At the same time it is a very peaceful piece to admire. 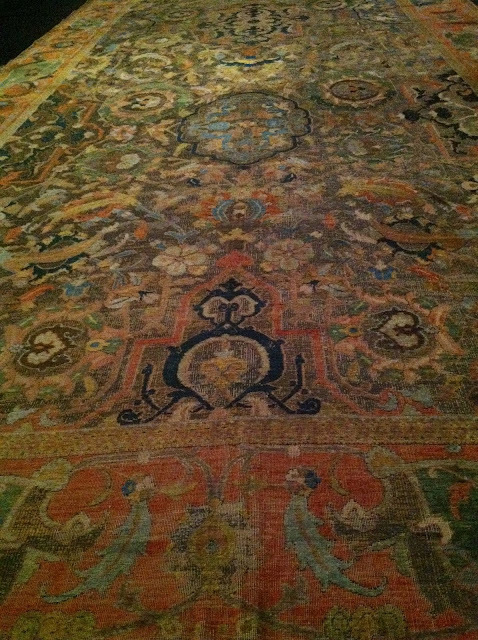 This rug is one of 7 Isfehan pieces that were part of the Royal Collection. 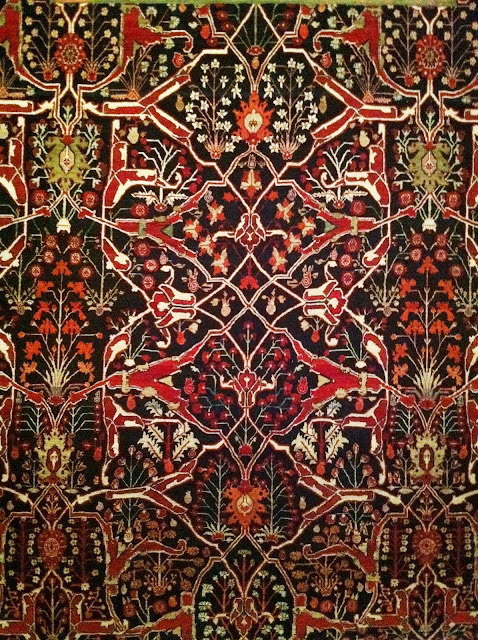 They were woven in the Royal workshops in Isfehan between 1630-1670. This piece and six other Isfehan pieces (which are in the storage of the museum) were taken from Shahabbass palaces in Isfehan to be maintained and exhibited in this museum. There are also a few 19th Century silk rugs from Kashan and Tabriz with different forms of Mehrab and tree of life designs. Also on display I saw some of the best examples of late 19th and early 20th Century very fine wool pile Kerman master weaves with busy and yet beautiful floral motifs. 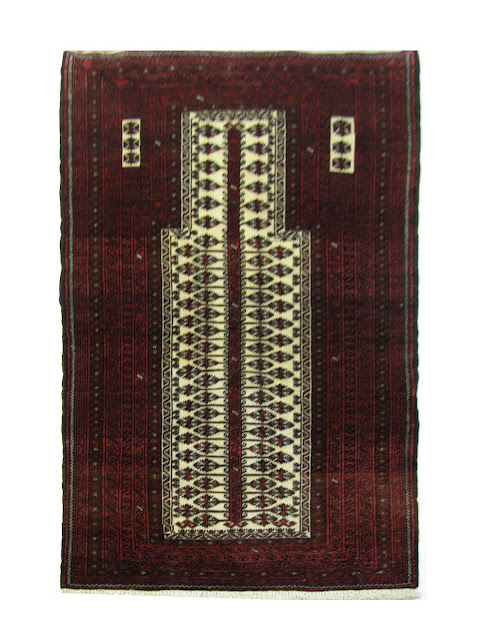 There are also many beautiful 19th Century prayer rugs from north western Persia and tribal pieces from Kurdistan and the Sarouk region . The display is changed every 3 months, and I look forward to coming again to see another collection. Museum opening hours are 10 am - 5 pm Saturday to Thursday. You are permitted to photograph the carpets as long as you do not use a flash. Yalameh is a well-known name in tribal Persian rug weaving. Yalameh is the name of a village in Char Mahal Bakhtiar state in southern Iran, which, since 1920 has become home for Turkish-speaking Qashqai nomad families. 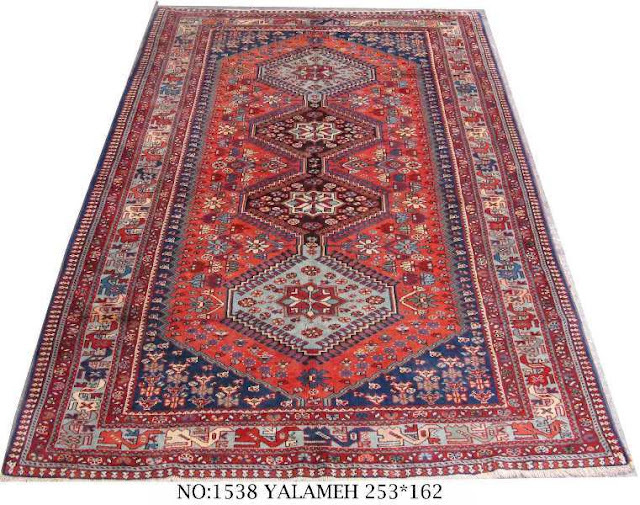 Natural vegetable dyes are widely used in Yalameh carpets and the wool used is locally produced and famous for its soft texture and beautiful sheen. 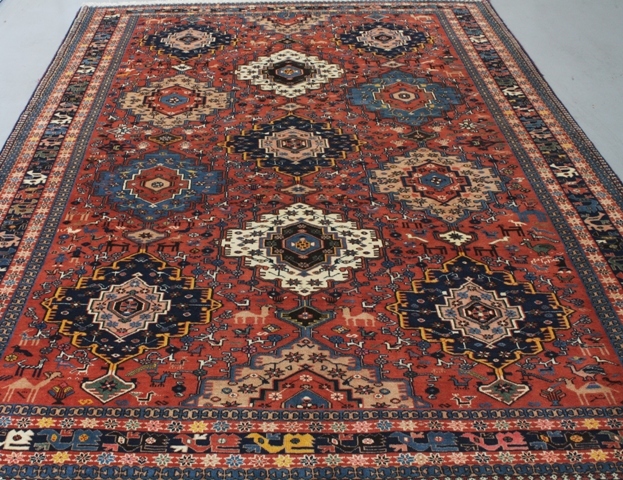 The colours used in Yalameh Persian carpets are very limited and don't exceed more than 10 shades. 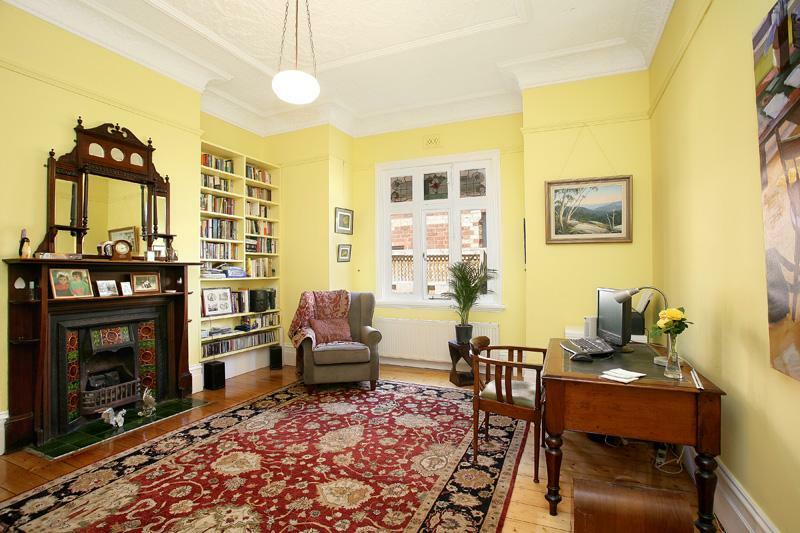 Deep and light reds, cedilla blues, yellow and gold, are the colours found in most Yalameh carpets. Wool is used in the warp and weft of these rugs as well as the pile. 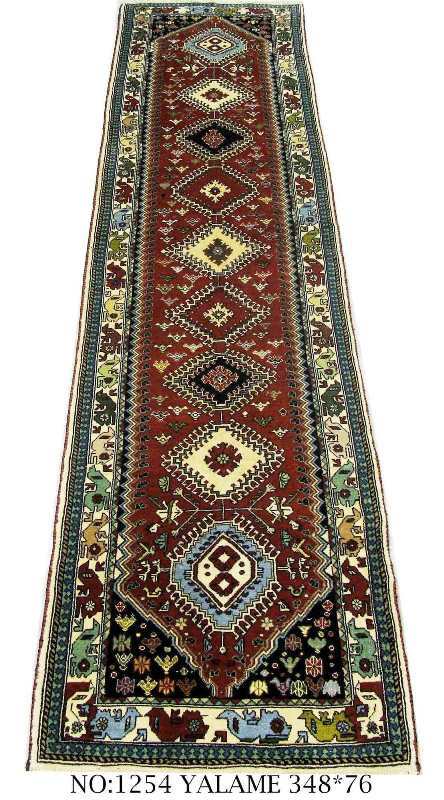 Until recent days most Yalameh rugs were woven on horizontal looms, but these days you see many upright looms in Yalameh homes as these take up less space in the room. 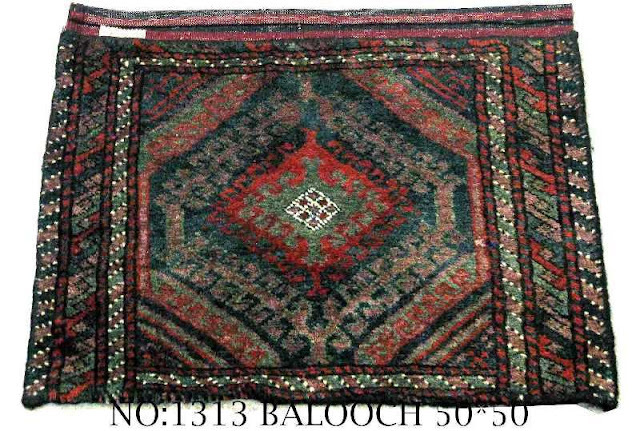 Knot count in Yalameh rugs is between 25-35 Raj (Raj: knot counts in a row of 7.5 cm) and the finest pieces are woven in a village called Aliabad. 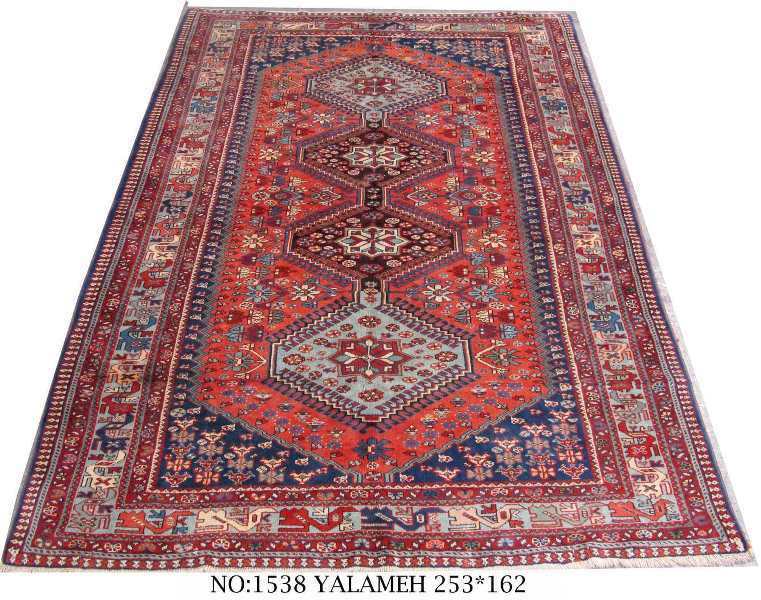 The distinctive motifs and colours used in Yalameh carpets make them easy to distinguish.